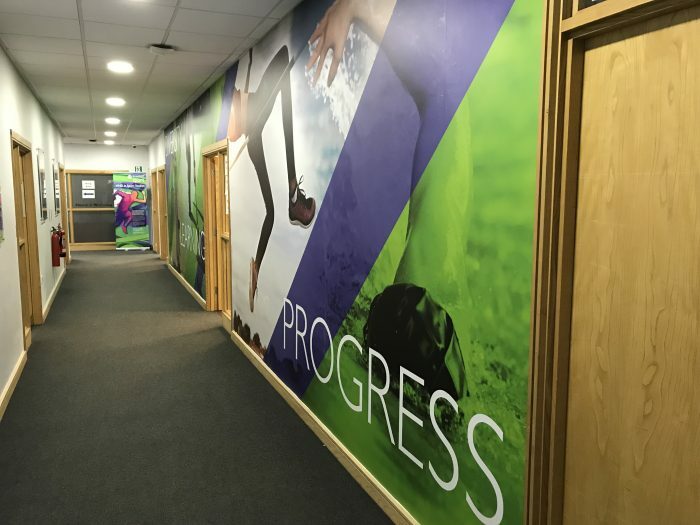 Recognition were asked to produce interior branding and pull up banners for the sports corridors at Barton Peveril Six Form College. 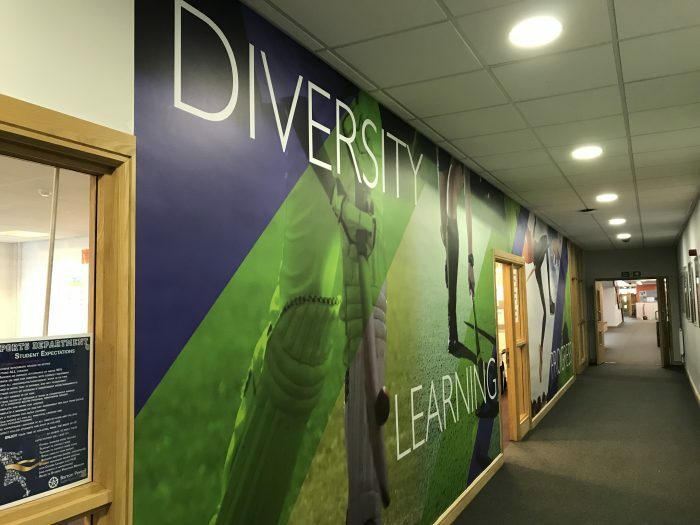 The brief was to create a professional eye-catching look and feel which students could aspire to. 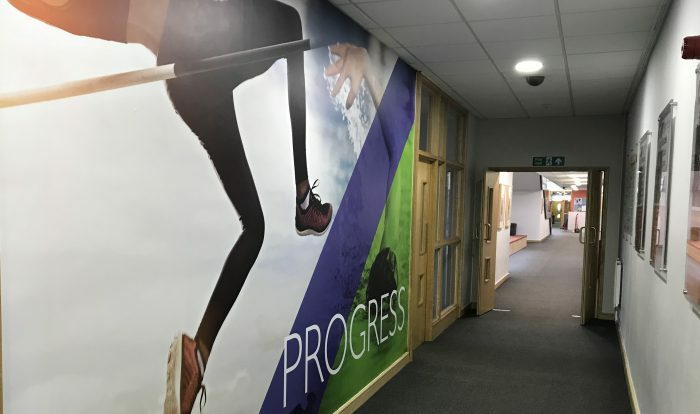 A striking mix of high-quality photography, angled design features and bold typography were used to achieve the printed wall vinyls and various pull up banners throughout the College.